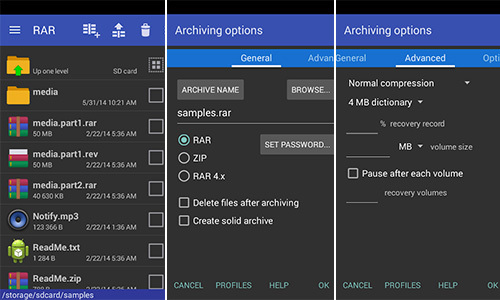 Make and extract file archives with these feature-packed Android apps. Quite often you run over documents that you might have downloaded from the web compressed in rar, zip, and other file formats. So, to open and extract those files on your Android Smartphone, you need a Zip app. 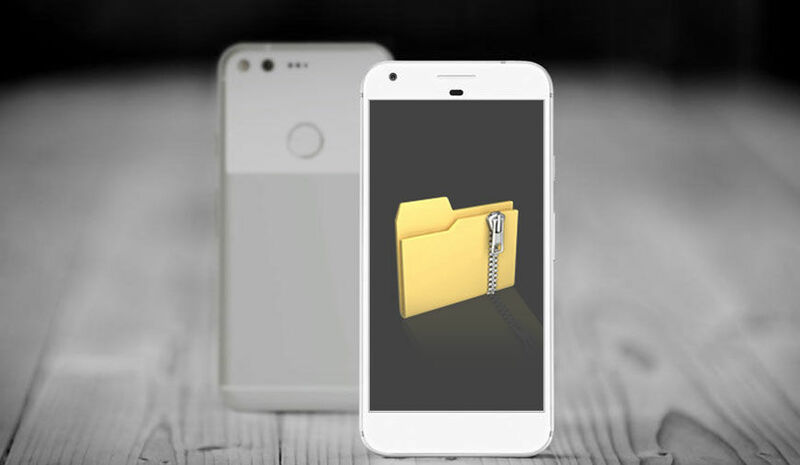 Additionally, on the off chance that you wish to spare some space on your android device by compressing some documents, these Zip apps can come handy. With these apps, you can also create and mail files, open and create password protected documents, make use of file browser to locate files on your SD card or internal storage, and more. The most common of them are archived files. They come in various formats like Zip, RAR, 7z, tar, and other file types. The basic aim of using archives is to stuff many files into a single place. To make your job easier, I have come up with some of the user-friendly Android apps that will make your work easy. 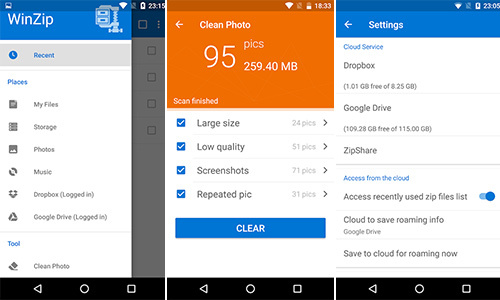 With WinZip, extract and share zip files on your Android device without any mess. It lets you compress files for easier sharing and storage, and stretch your data and storage limits. Furthermore, WinZip offers you to open and save compressed files, whether they're attached to an incoming email, downloaded from a web page or located on the SD card. Easy Unrar, Unzip & Zip allows you to extract RAR and zip files easily. It has a browser to view files on your phone or your tablet. Supporting all versions of RAR files, archives protected by a password and multi-part archives. It gets you simple zip compression, multi-part compression, and AES encryption. Moreover, this Android app enables archived content display without decompression. RAR is an easy, and quick compression program, archiver, assistant, extractor, manager and even a basic file explorer. Basically, it is an all-in-one app. The app can repair command for damaged ZIP and RAR files, which is a benchmark function compatible with this app. In support of the standard ZIP files, unzip function supports ZIP and ZIPX with BZIP2, LZMA, PPMd and XZ compression. Unrar command is available for all versions of RAR archives including the latest RAR5, password protected and multipart files. The Android app was first released back in 2011, and since then it continues to gain popularity among the users all over the world due to its high functionality and friendly user interface. B1 Archiver is amazingly simple that makes every task to be done in a few taps. The app is localized in more than 30 languages. Much like other archive apps, it does the work quite efficiently. XZip is an application to unzip and unrar archives and extract original set of files. The Basic version provides you with 5 successful unpackings. After that, you still can use XZip to create archives and preview their content as well as move, copy, rename and delete files. After shelling some bucks, you will get an unlimited number of unpackings with full support for password-protected archives. 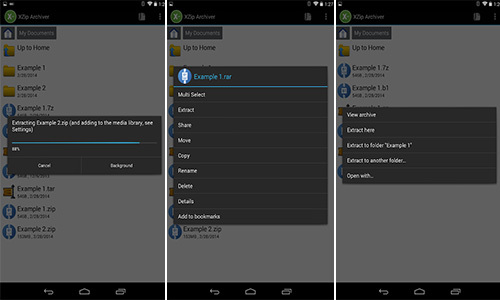 iZip is a decent app for ZIP file management on an Android device. The app provides easy zip/unzip function. Open and view many document types: PDF, TXT, RTF, JPG, GIF, PNG, videos, audios, etc.